Pamela Marie Speicher, 65, of Elizabethtown, died Thursday, January 17, 2019 at Hardin Memorial Hospital. 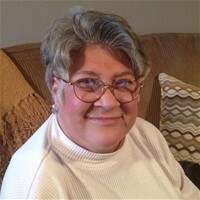 She was a native of Elizabethtown, a 1972 graduate of Elizabethtown High School, and worked for Kentucky Trailers. She was preceded in death by her parents, William Alfred Speicher and Minnie Rose Hagan Speicher. She is survived by her son, Neil (Charity) Vickery of Ekron; daughter, Lindsey (Bobby) Hood of Rineyville; a brother, William A. "Bill (Susan) Speicher, Jr. of Louisville; a sister, Suzanne S. (Cary) Mantell of Lawrenceville, NJ; and four grandchildren, Ethan Hood, Owen Hood, Madison Benham, and Logan Benham. A memorial service will be at 7 p.m. Monday at Brown Funeral Home with Rev. Martin Linebach officiating. Visitation will begin at 4 p.m. Monday at the funeral home. Condolences may be expressed online at www.brownfuneral.com.